My new book is published! Finally, I got it in my mailbox. You can download a preview copy by signing up to receive my newsletter. For those who are already in my list, you should have received the download link in my previous email. 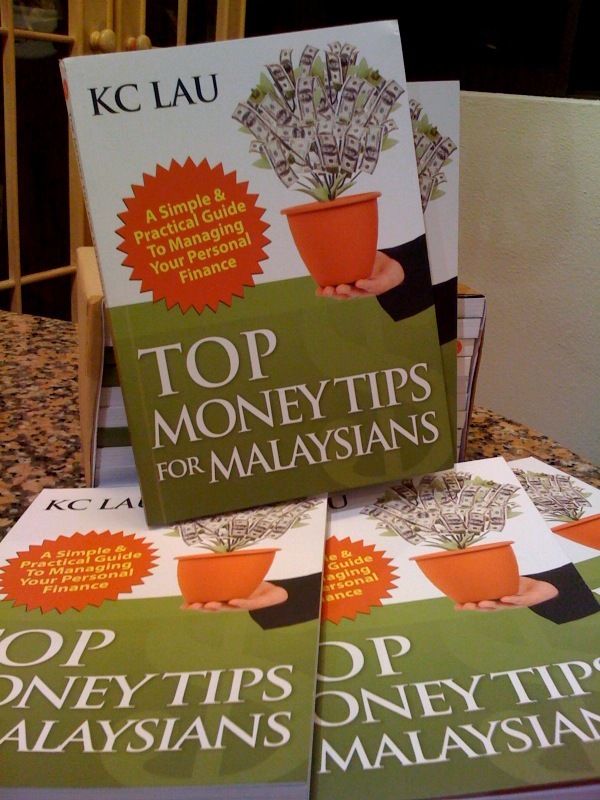 If you are a blogger, you can get a complimentary copy of Top Money Tips for Malaysian if you are interested to write a review about it. Please contact me with the details of your blog url and the number of daily visitors. Thanks for your support all these time! Without your readership, I wouldn’t have become a published author. « Previous Post Buy term and invest the difference Next Post » If either one of the joint-account holder dies, who gets the money? 13 replies to "My new book is published!" Michelle, thanks for your feedback. Where did you get the book? Hmm, I managed to grab this book. The content is OK and quite general. You need to put more “Ummh” to make a lasting impression. There are too many $$ tips books both local and overseas to choose from. Hope you can sell well. Not easy to be an author. Keep it up. Relax, did they give you discount? I only have a few copies left with me now. Congratulations, I have read the preview and find that there is nothing special about it. it Is the same old story like all of the other books sold in Popular and MPH. Nothing special about the content, very disapointed because most of these tips we can get it free. (Reading blogs, reading books at MPH, popular). Maybe the book is not suitable for people who are financially literate. Thanks Relax, I believe you are the first one who actually bought my book, even before I got it myself. Congrates for being an author! I am willing to blog about it for free, after I finish reading it of course. For now I can only say the book's presentation is top notch and it has a lot of substance and valuable resources. Definitely a value buy! Is P2P Financing a Suitable Alternative Investment Vehicle for You? Should I take Cash Advance for Investments? I Lost RM 20+k in Unit Trust. What Should I do? Millie on Should I Take a 5-Year Car Loan or a 9-Year Car Loan? Daniel Ngoh on How to Become a Financial Planner? 44 Money Tips for you to make more money, save more effectively, invest profitably and retire early!